As an artist, my creative work is inspired by natural beauty shared with family and friends, and is meaningful to me, not only in its representation, but in its connection to those I love. 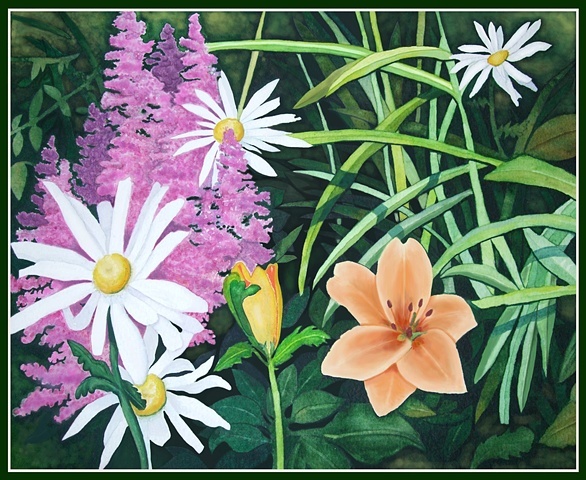 Though I am primarily a watercolorist, I do enjoy combining various techniques in my paintings, including use of ink, illustration markers and sometimes digital software, to finish my work. Exploring the possibilities that each tool provides has been exciting, rewarding and contributes to the discovery process that results in my interpretation of each piece. In addition, I explore fabric design in both quilting and knitting to understand history through various global cultures. Click on the "Gallery" link to view my work. You can click on any of the images in my gallery to view the specific piece and read an interesting bit of trivia about each one. Enjoy!